The MAD Scientist Associates wetland and environmental consulting team is led by co-owners Christine Dilley and Mark A. Dilley with three full-time and three part-time staffers who are made up with specialists in wetlands, ecology, biology, botany, soil science, forestry, water quality, GIS, environmental engineering, ecological risk assessment, permitting, and environmental education that includes STEM programming. Teamwork is the fuel that allows common people to attain uncommon results. As CEO, Christine manages and directs MAD Scientist Associates, LLC. Prior to joining MAD was a seven-year career at Battelle in the world of scientific consulting -- building relationships with clients, promoting company capabilities, proposal development, research, and project reporting. In 2003, she joined MAD when Mark Dilley, the founder and then sole proprietor, became too busy with field and project work to manage and grow the business. Christine also oversees compliance management related to federal, state, and municipal contracts and has completed ODOT's Managing the Transportation and Environmental Project Development (NEPA) Training. As majoriity owner, she holds EDGE, WBE, and WOSB certifications. Her BS degree was earned at The Ohio State University. She currently serves as Vice President of Corporate Partners on the NAWBO Columbus Board of Directors. Mark is Chief Scientist at MAD Scientist Associates. He is a Professional Wetland Scientist (Society of Wetland Scientists) and Certified Senior Ecologist (Ecological Society of America) with over 25 years of experience in wetland science, field biology, ecology, and environmental studies. Mark is certified through Ohio EPA's QDC program for Level 3 fish studies and habitat assessments for biological monitoring of wadeable streams and rivers. He has worked on projects in 25 states, but focuses his efforts on his home state of Ohio. (Make the sustainable choice: Hire locally-grown consultants!). Mark received his B.S. in Natural Resources in Fisheries Management and his M.S. in Environmental Science from The Ohio State University, with an emphasis on wetlands. His thesis research (Atrazine Fate and Transport in a Created Flow-through Emergent Marsh: An Examination of Key Processes) was completed at the internationally-acclaimed Olentangy River Wetland Research Park at OSU. Mark has continued his connection with OSU as a lecturer for the Wetland Ecology and Restoration course since 2012. Jenny received her B.S. in Biology and Masters in Education from Wright State University in Dayton, Ohio. Through her years of schooling and work experience, Jenny has become skilled in plant identification, restoration planting plans, and management practices for invasive species control. She is proficient in completing detailed botanical surveys such as Ohio's FQAI and VIBI. She is a Professional Wetland Scientist, certified delineator with ORAM training, as well as a surveyor for running buffalo clover. She utilizes her master's in education by working with municipalities and area school districts, developing outdoor programming and environmentally focused curriculum. She also works directly with teachers and other local educators to enhance their approach in utilizing the outdoors and wetlands in their classrooms. Mary received her B.S. in Environment and Natural Resources with a specialization in Environmental Education from The Ohio State University. She was a former Naturalist with Columbus Metro Parks and has extensive experience with surface water permitting including NPDES permitting as well as Storm Water Pollution Prevention Plan (SWP3) and Spill Prevention, Control, and Countermeasure (SPCC) plan compilation. She is also a Level 2 Qualified Data Collector specializing in Benthic Macroinvertebrate Assessment and is ORAM trained. She utilizes her diverse background to not only assist clients with interpreting the complexities of environmental regulations, but to also assist area schools and educational programs with incorporating environmental education into their lesson planning. Jim received his B.S. in Environmental Science and M.S. in Environment and Natural Resources from Ohio State University, both degrees specializing in ecological restoration. His undergraduate work focused on aquatic ecology, where he studied harmful algal blooms in a community-managed lake in central Ohio. For his graduate degree, his field work shifted to the Wayne National Forest, where he studied community assembly and successional dynamics. Jim has volunteered with The Nature Conservancy and has served on the board of Friends of the Lower Olentangy Watershed. More recently, he ran a volunteer tree planting program for the City of Columbus Recreation and Parks Department, assisting the Branch Out Columbus campaign to expand Columbus’s urban tree canopy. Jim is a certified SCUBA diver and is trained in the Ohio Rapid Assessment Method (ORAM) for wetlands. 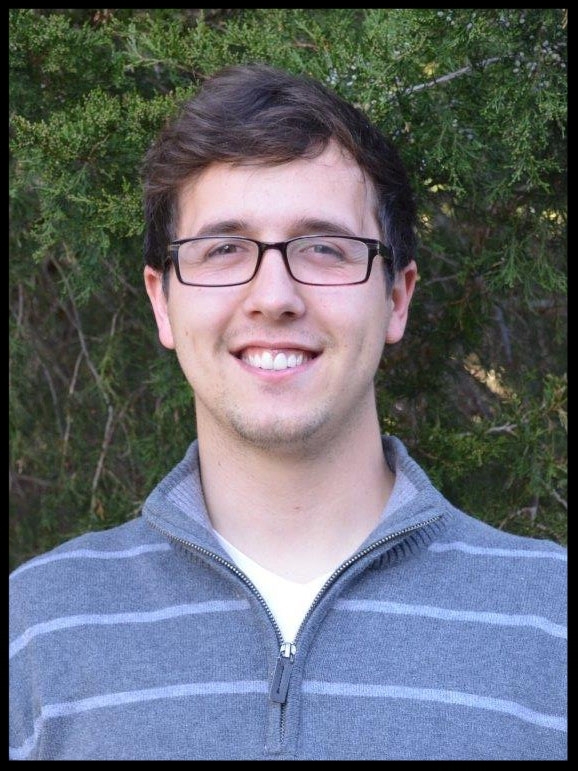 He also has been approved as a Certified Ecological Restoration Practitioner-in-Training (CERP-IT) with the Society for Ecological Restoration. Jenna is a Minnesota native who obtained her Bachelor of Science in Biology from the University of Wisconsin-River Falls, and her Master of Science in Environment and Natural Resources- Fisheries and Wildlife from the Ohio State University. Growing up on the thousands of lakes in Minnesota, pursuing undergraduate and graduate research in wetlands (the role of functional diversity in biotic resistance of non-native fishes and invertebrates in Lake Erie coastal wetlands), and actively using her SCUBA certification for work and play has developed a strong interest and deep passion for investigating, protecting, and restoring aquatic-terrestrial interfaces. This is especially important for the great numbers and wide variety of wildlife species that rely on such habitats. She is excited to contribute her biological focus to the MAD Scientist Associates team to support and expand the company’s capabilities and pursue ecological survey and restoration projects in the Midwest. Zach earned his B.S. from Ohio University and has continued his studies with graduate coursework at Ohio State University, both with an Environmental Science and Natural Resources focus. Recently, he completed U.S. Corps of Engineers Wetland Delineation Training to build upon skills he acquired as a Section 401 Water Quality Intern in the Surface Water Division at Ohio EPA. In addition to restoration site management and riparian habitat restoration experience, Zach utilizes his expanding botany skills and pesticide applicators license for controlling invasive and exotic species. He has also completed Green Infrastructure Training, which focuses on green stormwater infrastructure construction and maintenance. Terry is a Professional Engineer in the State of Ohio, with a B.S. degree in Biology from University of Dayton and an M.S. degree in Civil Engineering (Water Resources/Environmental focus) from The Ohio State University. Terry has a diverse engineering background, including experience in hydrology and hydraulics modeling, environmental remediation and emergency response, and dam safety, as well as Storm Water Pollution Prevention Plan (SWP3) and Spill Prevention, Control, and Countermeasure (SPCC) regulation compliance. Terry has completed OSHA, 30-hour Construction Safety and Health training and the USACE Wetland Delineation Training.